Having heartburn often may lead to cancers of the throat and vocal cord, according to a new study. The good news, though, is over-the-counter antacids may help reduce risk, the study authors said. "Previous studies examining gastric reflux and cancers of the head and neck have generated mixed results," study author Dr. Scott M. Langevin, a postdoctoral research fellow at Brown University in Providence, R.I., said in a press release. "(Our study) is a large, population-based study with robust parameters that strongly suggests gastric reflux, which causes frequent heartburn, is an independent risk factor for cancers of the pharynx (throat) and larynx (vocal cord)." Heartburn, or gastric reflux, is a painful burning sensation in your chest or throat that is caused by stomach acids backing up into the esophagus, the tube that carries food from the mouth to the stomach. Certain foods, alcohol or pregnancy can trigger heartburn. Those who experience it more than twice a week are often diagnosed with gastroesophageal reflux disease, or GERD. Gastric reflux can damage the cellular lining of the esophagus, and is believed to be a risk factor for throat cancer, according to the researchers. Researchers looked at 631 patients from the Boston area who had been enrolled in a population-based study of cancer risk. Out of the patients, 468 had throat cancer and 163 had vocal cord cancer. They were matched by age and gender to a group of 1,234 healthy individuals with no prior history of cancer. Everyone in the study filled out questionnaires on their family history of cancer and personal histories of heartburn, smoking and drinking. The researchers also tested them for human papillomavirus or HPV, which raises risk for some oral cancers. People with frequent heartburn were found to have a 78 percent increased risk for developing cancers of the throat and vocal cord if they were not heavy drinkers or smokers. Patients who had frequent heartburn but reported taking antacids were found to have a 41 percent reduced risk for the cancers. That protective benefit was consistent regardless of the patient's drinking or smoking status or whether he or she had oral HPV. The effect was seen with over-the-counter antacids only, and not with prescription medications or home remedies. Langevin told WebMD U.K. Health News that it's unclear why antacids were linked to cancer risk reductions. "We have hypothesized that by neutralizing the pH of the stomach acid reaching up into the throat, the antacids prevent chronic irritation and cellular damage that can eventually lead to cancer," he said. "However, anything that we offer at this time would be merely speculation." More studies would be needed to better understand the effect, he added. The study was published May 23 in Cancer Epidemiology, Biomarkers & Prevention, a journal published by the American Association for Cancer Research. Dr. Len Lichtenfeld, deputy chief medical officer at the American Cancer Society, told HealthDay that the study didn't rule out every variable for why cancer risk was reduced or why other heartburn medications did not lower risk. 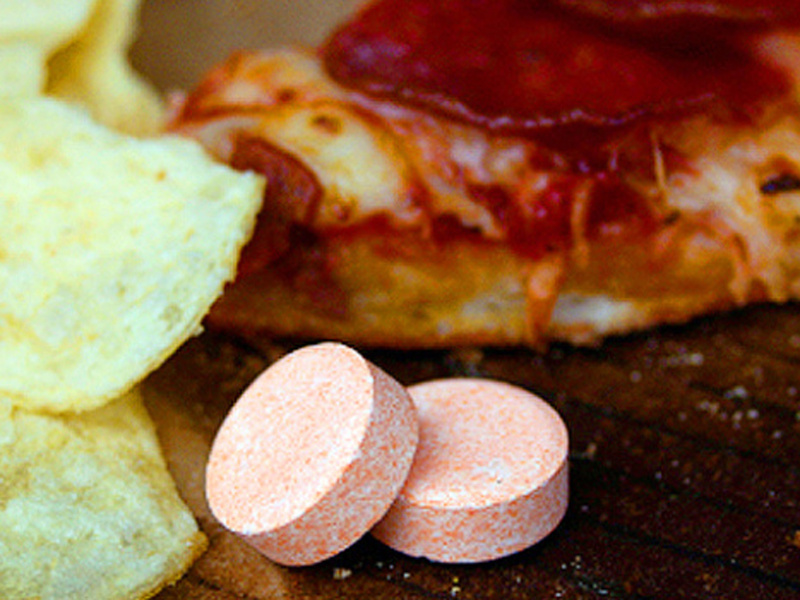 "Researchers need to determine why antacids work and, more importantly, whether antacids make a difference in also reducing cancer of the esophagus," he said. Though the cancer risk increase was evident in non-drinkers and non-smokers, the Mayo Clinic points out that tobacco use, including smoking and chewing, excessive drinking, and a diet lacking in fruits and vegetables are all risk factors for throat cancer.